Few months back we mentioned about how to move your Facebook contacts to Google+, with that way you can move all your Facebook friends to your new Google+ account. But the major problem is to move all your Facebook photos to your new Google+ account, non none has so much time to download each and Evey image on your desktop and then upload the same on your other account. This process is so lengthy and take so much time. No need to worry, there are so many tools are available on the internet which allows you to move your Facebook photos to Google+ account. Today in this guide we let you know how you migrate all your Facebook photo to your Google+ account without any problem. All the below mention tools are free to use, easy to install and one of the quickest method to transfer all Facebook photo album to Google+. There’s no official way to import Facebook photos into Google+, so all the below mention tools are third parry tools which you can use on your desktop and browser to migrates all your photos from Facebook to Google Plus. If you don’t want to use third party application, then the best bay is download all your Facebook data with this tool and Import Facebook Photos to Google+. 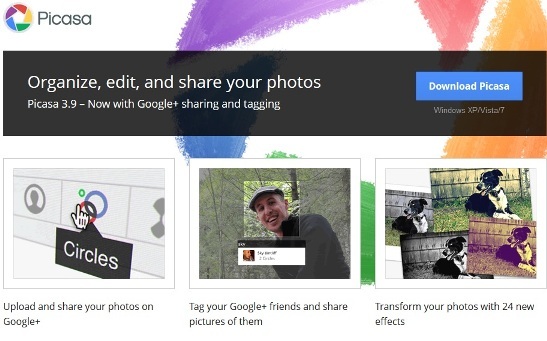 Google+ uses Picasa web albums to share pictures. So all you have to upload your Facebook pictures to Picasa Albums and after that you can see all your Facebook Photos on your Google+ Circles. Download Picasa App from here and import all your facebook photo to Google+. Fotolink is Facebook application that allows you move all your Facebook to Google+ with one click. 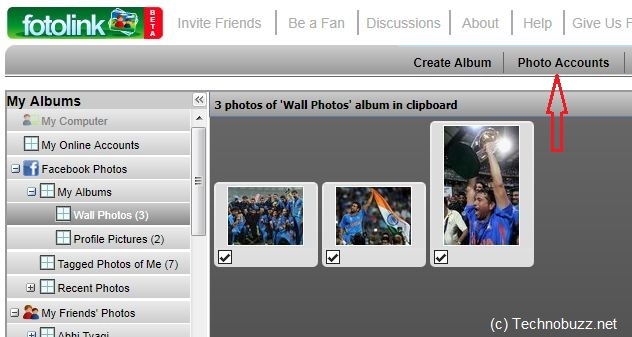 All you have to install the Fotolink application on your Facebook page and after that you can select all your Facebook albums and move all your Facebook albums one by one to Picasa account. Once the migration is complete you can see all your Facebook albums on your Google+ albums. Awesome Firefox addon to transfer your Facebook albums/photos selectively to Google’s Picasa and the you can share them with your Google+ circles. The process is so simple, all you have to install the Photo Importer Firefox Addon on your Firefox browser. Once the addon is installed on your browser open the Facebook albums on your Firefox and Submit your Album to Picasa with the help of addon. So with this way you can easily transfer all your Facebook photos to Google+. If you have any other migration tips to share? Let us know in the comments.